I had no intention of actually playing any Pokemon this weekend. John Roberts and myself were working on getting a group to go to a Battle Roads in Columbia, Mo. on Saturday, but we couldn’t get a good amount of people and it didn’t make sense, at least for me to pay the gas for a what would probably be a 2 hour tournament. So fast forward to Saturday night, and I see something on Facebook about a Battle Roads in Edwardsville, Illinois, which is just outside of St. Louis. I check the STL Pokemon page, and see that there is indeed a Battle Roads going on that was a late addition to the schedule. I had nothing better to do, so I made sure to get a deck together Saturday night to play on Sunday. I was pretty sure that I wanted to play Gothitelle EPO/Accelgor DEX for the next Battle Roads I went to, it has been testing pretty strong for me, even against decks that tend to tech against it. I only had one Tropical Beach on hand, and didn’t feel like going through the hassle to try to find another one on such short notice, so I decided to go ahead and play the deck with just one, although two or more is optimal. When putting together my deck I noticed one problem, I only owned two Float Stone, and obviously you want three so you can draw into them often enough without using Skyla to search them out, as well as attach to multiple Gothitelle, and random Duclops that get stuck active. This caused me to scrap the deck, and start putting together Landorus EX/Lugia EX. But then I thought Klinklang has seen pretty high play in the area, so I ended up switching back. 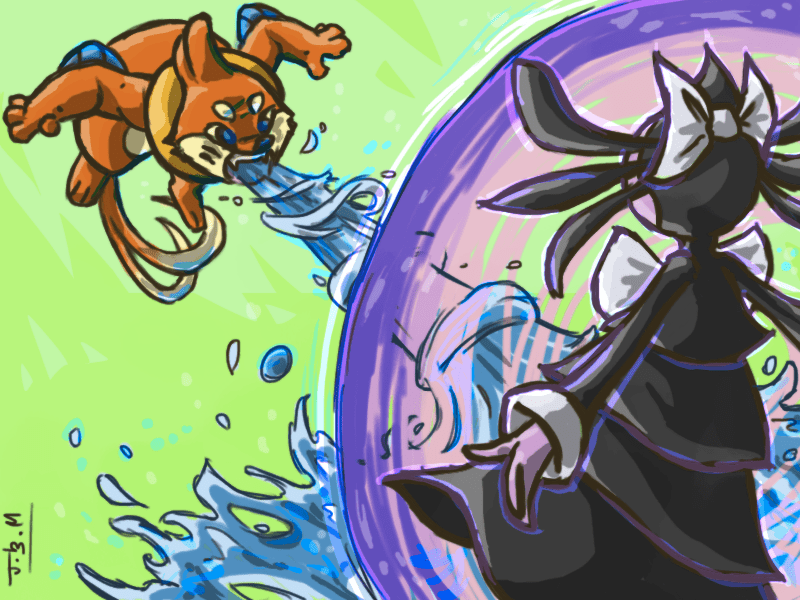 My solution to the Float Stone problem was to play a Keldeo EX, which is both a blessing and a curse. Keldeo EX is nice because you really just need one Float Stone attachment for the entire game. The downside is that Keldeo takes up a precious bench spot that could be used to fill with Mew EX and Accelgor lines. As far as one Tropical Beach is concerned, I just put in an extra Mew EX so that I would start with it more often and played Dowsing Machine as my Ace Spec so I could get it back if need be. I think my view on this deck is a little bit different than a lot of other players views on the deck. I practiced a ton with the Chandelure/Vileplume/Accelgor deck before Nationals, tested Goth and Chandelure variants for Fall Regionals this year, and messed around with a Darkrai/Accelgor/Sigilyph deck during cities, and through all of this, I have gained quite a bit of insight into Accelgor decks. Because of my different view on the deck, my list is a bit different than some other players so I don’t feel comfortable giving the list out. I think most people’s view of Accelgor is as a lock deck. Their sole goal is to get a Deck and Cover off every turn. My view on Accelgor is that to be really successful with it, you need to play it as a control deck, and just move the game to where you want it to go. Item Lock – With this, you control what cards your opponent can and cannot plays which really constricts what your opponent is able to do against you. This makes it so your opponent cannot really pull off any surprise moves and makes the game pretty straight forward as to what has to be done to win. 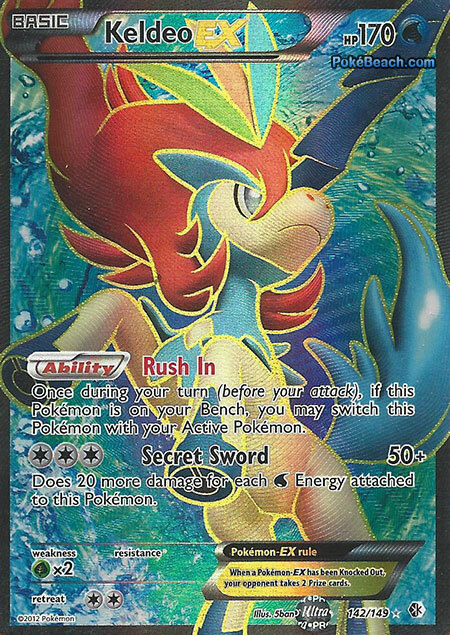 Item lock is also important for attempting to shutdown your opponent’s counters, such as searching out Audino BCR or getting a second Keldeo EX out onto the field. 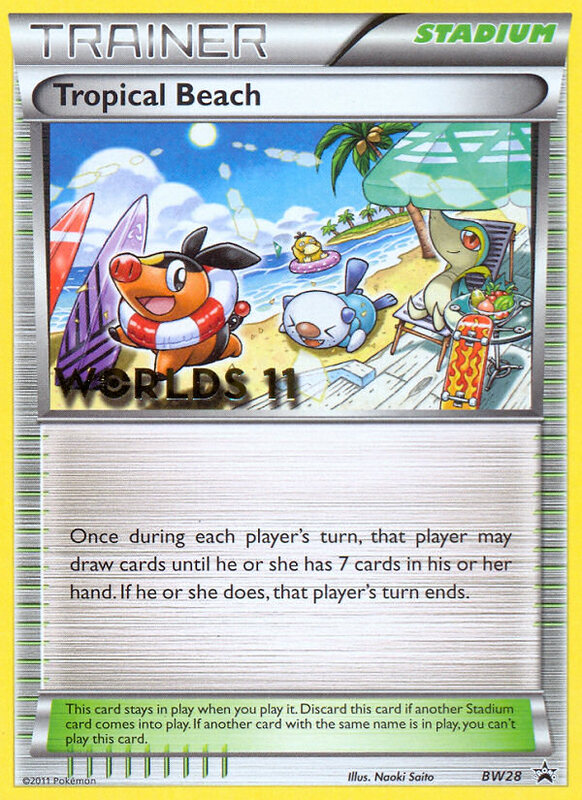 Board Control – The two most important cards for this part of the deck are Pokemon Catcher and Tool Scrapper. 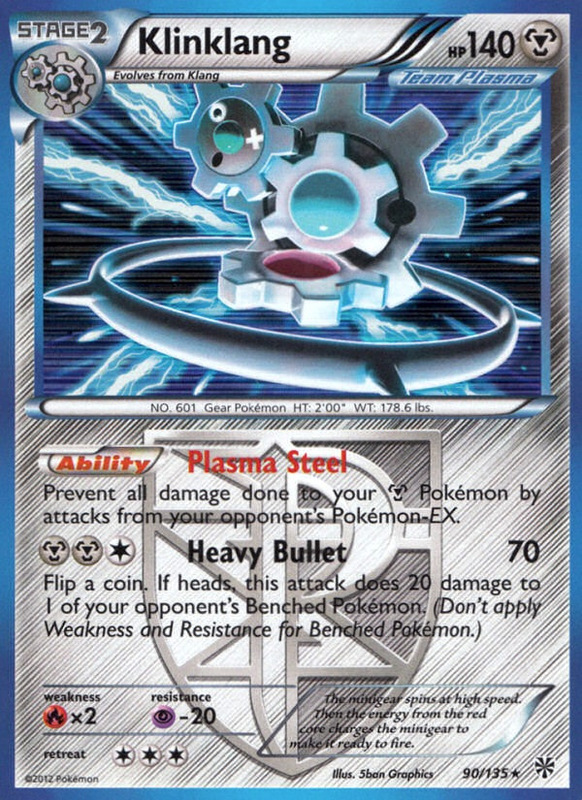 Outside of multiple Keldeo EX situations, Pokemon Catcher and Tool Scrapper to remove any Float Stones that get on before the lock will allow you to control what Pokemon you want Active allowing you to keep threats on the bench, or bring them up to destroy them. This is important for both disruption early to allow you to setup, and for controlling the game once the lock goes up. As a result, I play a higher than usual Pokemon Catcher count. Damage Control – This really is what makes the deck as strong as it is. 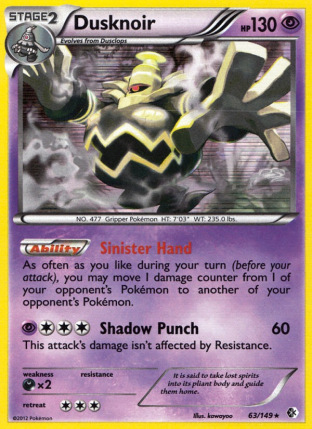 The main player in this regard is Dusknoir BCR, whose Sinister Hand Ability lets you move damage counters around your opponent’s field in any way that you like. This allows you to put damage exactly where you want it. Other aspects of damage control are using Mew EX to hit for resistance or weakness, and Accelgor DEX to hit for weakness, as sometimes you will want to hit for extra damage, and sometimes it will make sense to hit for less to keep a perfect lock up, especially important before Dusknoir hits the field. Other situations could be Tool Scrapping an Eviolite or Giant Cape, but those cards are less common than they used to be and often your opponent won’t get them on before the Item Lock goes up. I think to be highly successful with the deck, this is the approach that will need to be taken. It allows you to play the game at a deeper level and freestyle your way to more wins than you would be if your main strategy is to just Deck and Cover. For this reason, I feel a thicker Dusknoir line should be played than what most players are currently playing as it is one of the most important aspects of the deck. I don’t think hitting a Deck and Cover every turn is very realistic, although I know many good players who do think it is, and I think to do well with the deck you have to know how to handle situations where you miss the Deck and Cover for a turn or two. Not sure exactly how many Master’s we had, but it was probably just under 16, as we played four rounds and worked our way to two undefeated players playing in the Finals. The poke-gods were smiling upon me today and gave me a first round bye. This is an amazing advantage to have at a tournament as you get the free win obviously, but also you end up with stronger resistance as you start the tournament playing against 1-0 players, instead of a player that could potentially scrub out, generally making your resistance much stronger than it would be if you had to play round 1. This is a fairly straight forward matchup, basically whoever gets their Stage 2 out first is going to be at a huge advantage in the game. There are measures both decks can take to combat the other once the other one gets Stage 2’s, but it is a very uphill battle. Fortunately, I go first and get Gothitelle on turn 2, and am also able to Deck and Cover to get off an aggressive start. I get Dusknoir out fairly fast and Deck and Cover in with Mew EX twice, before I get a second Shelmet to lay down and feel comfortable to send Accelgor into battle to knock out the Keldeo EX he was loading Energy on. From there, I alternate between Deck and Cover with Mew EX and Accelgor DEX for a little bit, and end up knocking out his Black Kyurem EX that he was putting Energy on, and from there he scooped as I was going to be able to just knock everything out as he only had one Keldeo EX on the field and the third one looked to be prized or he just couldn’t draw into it. This is a fairly unusual deck that I get paired against, as I get downpaired for this round. To make matters worse, I mulligan around 7 times despite playing the most Basics of anyone in the tournament and my opponent goes first, but he doesn’t seem to get much of a use out of the cards he draws and doesn’t get to bench many other Pokemon outside of Thundurus. I start Mew EX and attach the DCE, and get a turn 2 Gothitelle. At this point, I have a decision, I can just retreat into Gothitelle to start the Item Lock (didn’t get my Keldeo or a Float Stone on this turn), or I can use Double Slap. I decide to go with Double Slap and give my opponent another turn of Item use as I had a DCE prized, and discarding it to retreat Mew EX would leave me with only 2 DCE to Deck and Cover with. On turn 3 I get the Deck and Cover going and generally take control of the game. On one turn fairly early, my opponent hits an Agility flip with Zapdos after I was unable to Deck and Cover for a turn. Fortunately, I get the cards to bring out Dusknoir, and move damage to knockout Zapdos EX and force my opponent to bring up another Pokemon I could attack. After enough turns of Deck and Cover, I win the game 6-0. At this point, I am feeling pretty good. The remaining two undefeated decks fighting it out in Round 3 are Klinklang and Quad Snorlax, neither of which can be too bad of a matchup for my deck. I put a Switch into the deck, which gives me a very strong Quad Snorlax matchup as long as it isn’t prized. Ultimately though, the Klinklang deck wins it out. I hadn’t got around to testing the Klinklang matchup with this deck, and just used what various other players have said should be the strategy against the deck, which was clear the field of Klinklang and then proceed as usual. The only little hitch is with Klinklang PLS, which will prevent Mew EX from hitting for damage against all of their Pokemon, so you have to knockout the Klinklang first and then go after the other Pokemon so you can Deck and Cover with Mew EX for damage and have a very easy game. As you have Item Lock with Gothitelle, your opponent probably won’t get more than one Klinklang PLS in play. One interesting note is that Plasma Steel only prevents damage, so you can still Deck and Cover with Mew EX to Paralyze and Poison them. As their Switching is entirely dependent on Switch and Escape Rope, you will be able to lock whatever you want Active. If they can’t get Klinklang BLW into play, you have pretty solid board control as a result. Both of us get out to a little slow starts, but he does get the Klinklang out first, and then my Gothitelle follows shortly after. I start by targeting down the Klinklang with some Deck and Covers with Mew EX, before finally sending Accelgor into the action to rack up some big damage. I didn’t have another Accelgor ready on the bench, so I had to Tropical Beach for a turn allowing him to attack my Gothitelle, and he would eventually knock it out with two Steel Bullet attacks as I whiffed anothr turn of Deck and Cover at some point. The snipe was semi-important as he missed one, putting my Gothitelle at 110 damage, just out of range for Cobalion EX to knockout later in the game. This was important for me, as the game went on I would only need two Gothitelle and not need to setup a third, which gave me an extra bench space once the Gothitelle got knocked out to fill up with multiple Accelgor and Mew’s, which really helped at streaming Deck and Covers. Because of the slow start, and Mew not doing much to Klinklang, the game went to time. Basically, the way the game played out, he knocked out a Shelmet before the lock went up, and then knocked out one of my Gothitelle. I knocked out the Klinklang, and then just put damage on his field with Deck and Cover. Before time was called, I moved damage to two of his Klinks with Sinister Hand to go ahead on prizes. From there, it was just a matter of knocking out his Cobalion EX with Energy, and then I would have won the game if time wasn’t a factor as I had a small deck with just Mew/Accelgor/DCE left in it for the most part. You can check out Colin’s tournament report at the Celadon City Gym. This is one of the most fun tournaments I’ve had this season, in a large part because of the deck I played. I played a lot of Vileplume variants throughout last season and generally enjoy the control that Item lock decks give you, as well as the slowed down nature of the game. 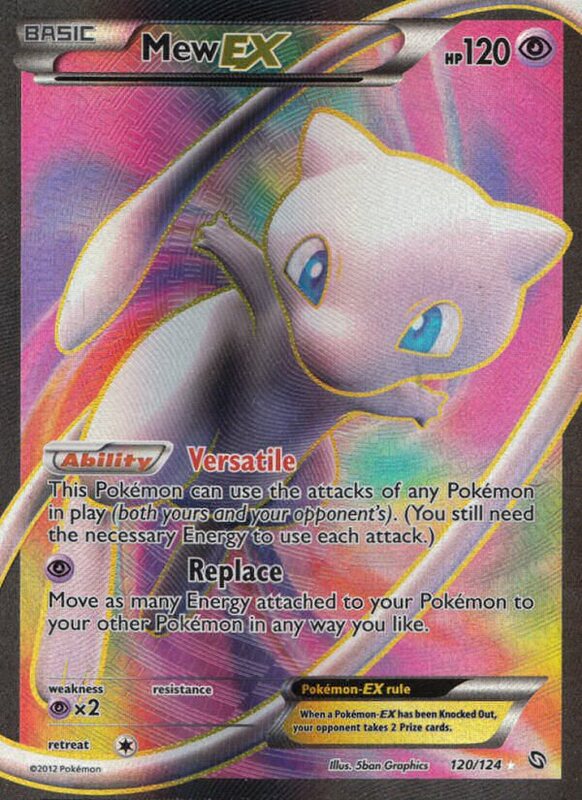 Another reason to enjoy this deck is because it plays Mew EX, and Mew is absolutely one of the cutest Pokemon in existence! It also feels great to finally have the first place monkey off my back. It’s cool to top cut a lot of stuff and place well, but it has been frustrating to always come up a little short, especially with some weird circumstances (see two weeks ago, losing to a near auto win in Excadrill with a Kyurem deck in the last round). So far, Plasma decks have had very little impact on our meta game, in part because players don’t want to pay for the cards when they’re coming out in tins, but also in part to a somewhat hostile meta game to Plasma decks, keeping down the few that do show up down. I still am really liking this format and feel very comfortable in it. My record at Battle Roads, excluding the bye now is 10-2, and 6 of those wins have been 6-0 victories, so I feel like the format really favors strong deck building and understanding of the matchups, which is always a good thing. As far as plans for the rest of Battle Roads, I plan on playing 4 more, two each the next two weekends. I want to play my Cinccino/Munna deck at one next weekend, and then will play a little bit more serious stuff to continue my tournament experience for Nationals. Featured image credits to Jesseth on DeviantArt.